It has been a long two weeks. We've been on vacation and then my sudden illness has set this house into shambles. I'm trying to get back on my feet, but it's going to be a long road. With this being said, the blog might not seem as active at times or as in depth, but I just want you to know that I haven't forgotten about you. It's that naps are and working on breathing again is a little more important. 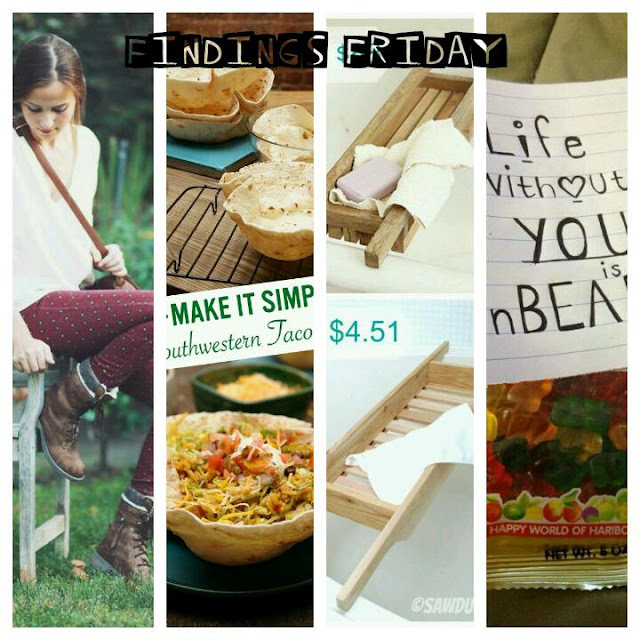 This Friday I've found a few awesome things for you. The list isn't as long as usual. Surprisingly I haven't spent a lot of time on Pinterest... Sad face. I believe that every woman should have a pair of wild pants, so I bought one. Since I've been sick, I've been craving food but haven't been able to eat anything. This will be one of the first on my list. We have an old claw foot tub in our house, so this will be a DIY project in the future. This is what I've been feeling like for the last week. A Mombie!